AHA Hyperbarics has been quite busy in the February and focusing mainly on training new partners. From 19th till 21st of February we have been hosting our new partners from Bulgaria, Serbia, Turkey, Croatia, the Netherlands and Poland. Firstly, all the students had to finish the e-learning course via our web page https://www.aha-hyperbarics.com/e-learning/. This is a theoretical part of hyperbaric chamber operator e-course. The training program is intended for operating a hyperbaric chamber and it provides a full presentation of the physics, physiology, customer care, equipment engineering, maintenance and use of a hyperbaric chamber. 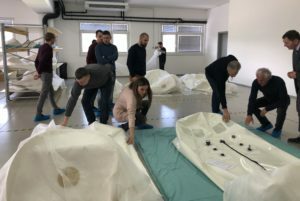 After successful completion of the e-learning course the participants attended an extensive practical part of Hyperbaric Chamber Operator Level 2 training course, that is intended for professional operating of the chamber. 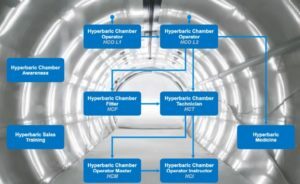 AHA Hyperbaric chamber operators know many things about gases, and gas laws, physiology and pathophysiology under hyperbaric conditions, oxygen handling etc. 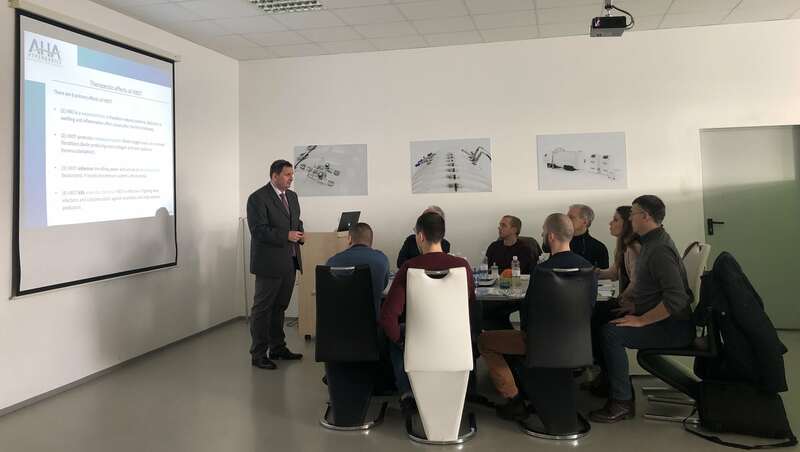 The course for HCO L2 was followed by Hyperbaric Chamber Technician training course (intended for installation and repair of the hyperbaric system) and Hyperbaric Chamber Master training course (intended for the trainers of hyperbaric operators). The technicians learned all about the maintenance of AHA products. Special focus was on practical solutions. The course for hyperbaric chamber masters is based on completed HCO and HCT training courses with an emphasis on teaching how to transfer the gained knowledge to new students. 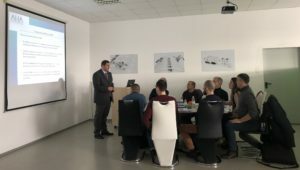 One of the important parts of the training is also the Sales training course for future partners and sellers of AHA products. Our distributors are our sales team and they have to be properly trained. They must learn everything about AHA chambers and oxygen concentrators to competently present our offer to potential customers. We are proud that all participants successfully finished the training courses. Also, we are very proud that our distribution network is spreading across the world and we can offer our products from now in five more markets in Europe.